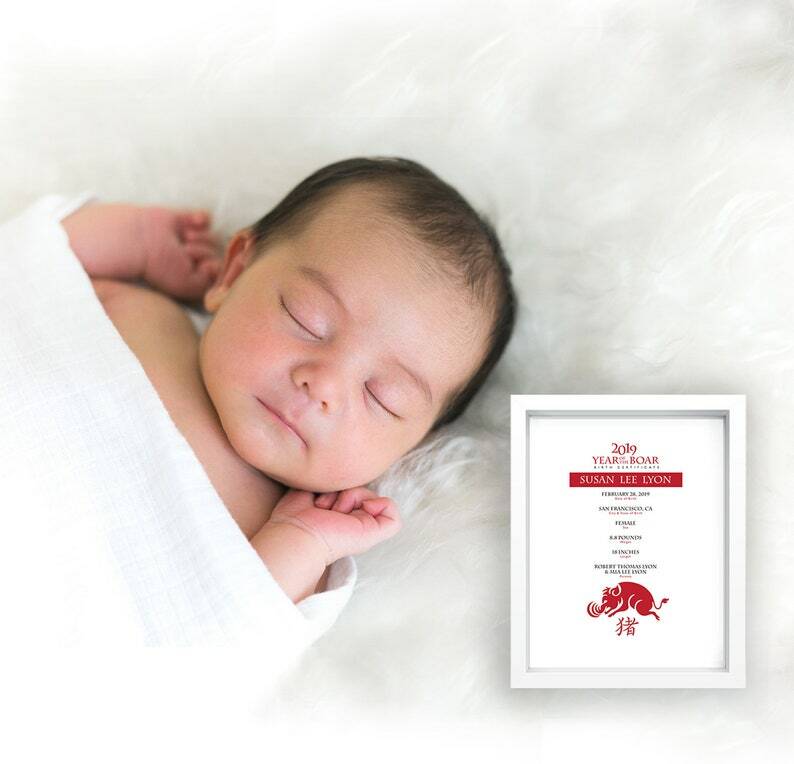 Baby Year of the Boar/Pig 2019 - Birth Certificate comes with a Year of the Boar greeting card. This listing does not include photo or glass and frame. Provided as a single printed color digital print. Please allow for one to two weeks for completion and delivery.